There’s no doubt we’re firmly nestled into the fall season here, guys. The autumnal equinox was way back on September 22nd, pumpkin lattes have been flowing out of Starbucks for weeks, and our favorite network television shows are back in full swing. All the pretty green leaves turned to ruby and gold and purple and bronze, and then all the pretty leaves fell down. Into your yard. And they turned into a sorta soggy, sorta crunchy brown mess. Austin TaskPoster Marie H. decided to hire a TaskRabbit to tackle the mountains of leaves in her front yard. 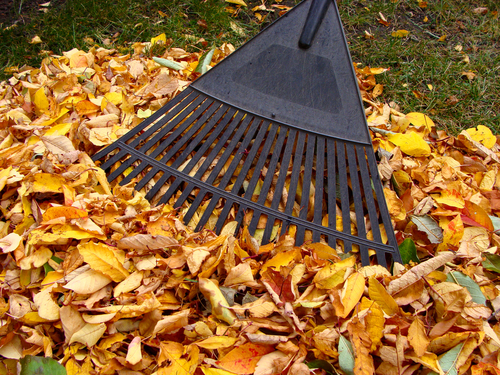 Chad H. showed up, grabbed a rake, and filled several garbage bags full of autumn’s bounty. Couldn’t you use a little help with your fall yard work?